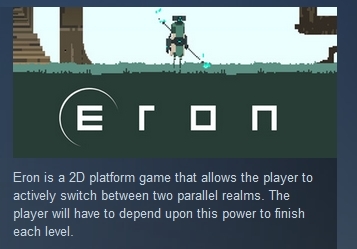 Eron is a 2D platform game that allows the player to actively switch between two parallel realms. 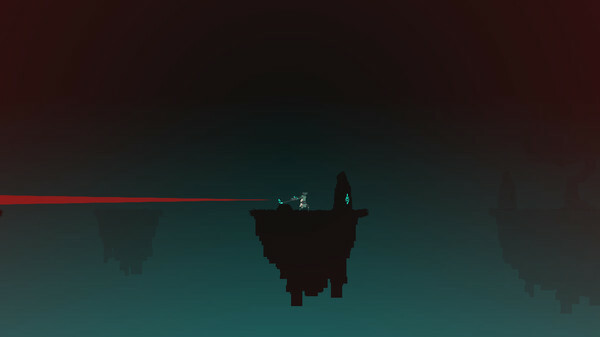 The player will have to depend upon this power to finish each level. In a distant galaxy, on an uncharted planet code-named, Eron, a special power is hidden. The planet is in constant danger as many seek this power hidden in the planets core. 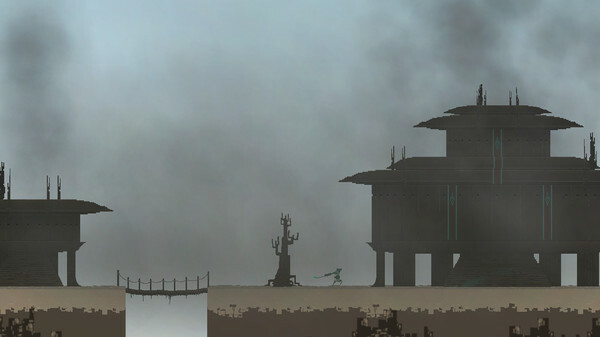 You play as a native tribesman on this planet, who one day discovers that uninvited guests have destroyed your village. It is up to you to find and stop whoever is responsible. 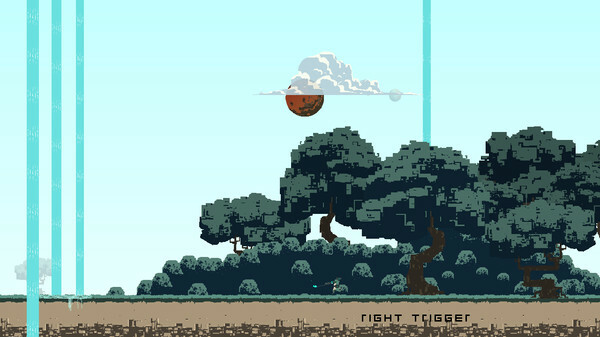 This game has only been verified to work on a Xbox 360 controller for Windows and a few similar gamepads.